I noticed that under Feature Code Admin it no longer has “Daynight” in version 15 of FreePBX. What is the intended replacement? Seems interesting that 15 will be pushed out knowing it will break environments that leveraged this feature or is the intention to leave index “0” and just remove the “Daynight” from Feature Code Admin? It would have been nice if the Call Flow Control page actually called out *28 plus the index number instead of “each can control a call flow and be toggled using the call flow toggle feature code plus the index”. Seems interesting that 15 will be pushed out knowing it will break environments that leveraged this feature or is the intention to leave index “0” and just remove the “Daynight” from Feature Code Admin? FreePBX v15 hasn’t been pushed. It was announced but not pushed. It isn’t in any Stable releases that are directly downloadable. There is no ISO with FreePBX v15 as the core version. In order to get FreePBX v15 you have to have FreePBX v14 and do the upgrade. All of which tells you this is not production ready. So @Gordon0193 we are talking many years since the GUI used that term. What is your reference? sorvani - Thanks for adding to the conversation. I’m asking because I have a configured my phones to use *280 to throw the system into “Night” mode. Currently the Call Flow Control reserves “0” for this “Night Mode” thus giving me the *280. From the Call Flow Control index - 0. So my question is more around will Call Flow Control index 0 exist in version 15? It would be helpful it call out the the feature code *28. If the argument is it can be changed then it seems it would be helpful by saying the Call Flow Control is set in the Feature Codes under Call Flow Control. From the Call Flow Control index - 0. So my question is more around will Call Flow Control index 0 exist in version 15? You can have more than one Call Flow Control setup. This would mean there would be more than one Call Flow Control (Day-Night Mode) available to use in the Feature Codes. The 0 index is to denote this is the FIRST Call Flow Control feature code toggle and it impacts that Call Flow Control. The second or additional Call Flow Controls would have 1: 2: 3: and make you have *281, *282, *283 allowing you to toggle any of those Call Flow Controls at any time. So yes, it should still exists. Does it? What does your v15 box you say doesn’t have these show? I noticed that the Day/Night mode was missing from the Feature Codes. I’m trying to understand if this impacts the Call Flow Control index “0” or possibly the Day-Night Mode is becoming something else. Considering v15 is not out yet I’m not going to take the stance that anything I see now will exist when it releases…which is why I posted to the Development forum. Again. Reiterating. Nothing you are saying changed in 15. Although, through all of this I can see the point. I just checked a couple boxes. While the feature itself is called Call Flow Control when you choose it from the Applications Menu. In v14 under Feature Codes it is still labeled as Daynight but using the Call Flow Control extension that was created. So that can cause a bit of confusion. So they missed changing a label a few years ago. To be clear that @Gordon0193 incorrectly noted what is labelled wrong. It is only the section header. What he highlights was a description he typed. The only label wrong is the - Daynight for grouping in the GUI. Which can then cause confusion. Is it a big mistake? No. It is a mistake that should have been caught in QA at some point during major version updates? Yes. And now if I change it I risk freak outs like this. or is the intention to leave index “0” and just remove the “Daynight” from Feature Code Admin? Well let’s cover some things here. 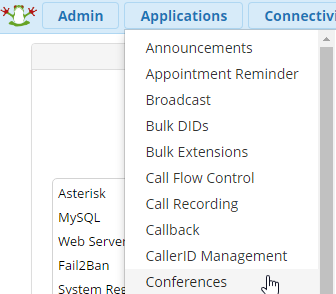 First, if you don’t have any Call Flow Controls setup there are no Feature Codes listed in the Feature Code Admin. It will only display those Feature Codes once there is actually a CFC to work with. Second, things like Call Flow Control and Time Conditions that allow you to “toggle” them and also have numerous amounts of them will have an index list (just like the screenshot shown of Time Conditions) to show you which Feature Code is assigned to each TC or whatever should be toggled. Third, same thing applies to everything else that could have a toggled Feature Code option. If nothing is setup then the Feature Code admin won’t even display that section since there are zero Feature Codes for it to manage. I was just looking at Sorvani’s screen shot and was just figuring this out. I only have one Call Flow Control option which is my night mode. The fact that “Daynight” was in Feature Code Admin made made my understanding of this a bit drawn out as I’m clearly not a seasoned user. With this understanding it would have help me immensely if Feature Code Admin would have had the title - Call Flow Control. Thus my call outs for additional documentation of “*28” is unnecessary because its going to be listed under Feature Code Admin every time one adds a Call Flow Control item. For which I say - COOL!